Our class introduces younger students to the basics of coding. Using MIT's award-winning Scratch, to teach principles of object-oriented programming. 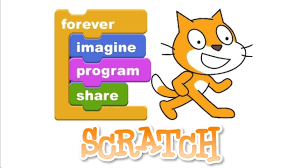 Scratch is a powerful yet simple block-based language. Students will learn how to use Scratch to create and program sprites, backgrounds, and interactive scripts.